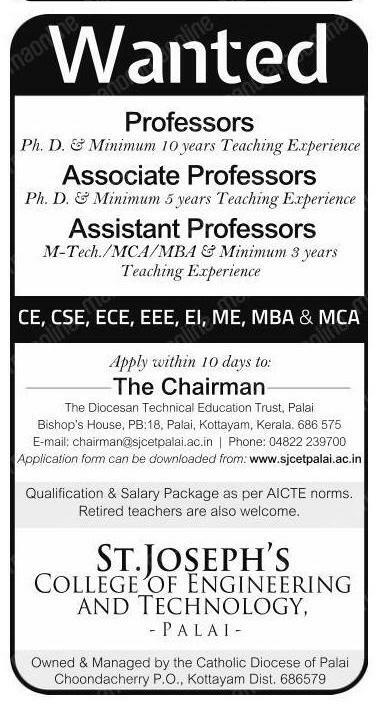 St. Joseph’s College of Engineering and Technology, Palai has advertised in Malayala Manorama newspaper for the recruitment of Professor/Associate Professor/Assistant Professor jobs vacancies. Interested and eligible job aspirants are requested to apply with in 10 days. Check out further more details below.